Democracy for America (DFA), a PAC founded by Howard Dean to advance progressive causes, has sent out an email attacking Roger Berliner and trying to raise funds for Duchy Trachtenberg. The email is reproduced at the end of this post. So why did DFA send out the email? Though DFA endorses at virtually all levels of office, it has not endorsed Duchy Trachtenberg as of May 20th based on my search of their online list of endorsed candidates. Indeed, they have endorsed no one in the State of Maryland. Trippi received national attention for his success as Campaign Manager at catapulting Howard Dean to the front of the Democratic pack for awhile in 2004. That campaign was the first to grasp the importance of social media. DFA started out as Dean for America and pioneered attracting small donors via social media. The email was funded by DFA as an independent expenditure rather than by Duchy’s campaign. So it would be illegal for Trippi to contact DFA to ask them to spend money on Duchy’s behalf. Since he works for Duchy, coordination between Trippi and DFA would turn this legally from an independent expenditure into a contribution that should appear under Duchy’s own authority line. But if Trippi didn’t contact DFA and get them to do this for Duchy, who did? The attack on Roger in the email for promoting development at Ten Mile Creek is particularly strange as Roger helped protect it. Moreover, Duchy has received strong support from the developer who is angry with Roger over his efforts. We don’t need to tell you: Roger Berliner is bad news. He’s consistently undermined the needs of working families in Montgomery County, despite the fact that he calls himself a Democrat. How’s that for a betrayal? Berliner has voted to strip bargaining rights from county employees, to remove indexing from any minimum wage bills, and to approve a construction project right by Ten Mile Creek. After hearing Ten Mile Creek — one of the last clean creeks in the area — would be polluted by storm runoff from his construction project, a progressive voice pushed back. Duchy Trachtenberg won’t stand for this failed leadership and that’s why she’s running for Mongtomery County Council in District 1. Montgomery County needs a bold progressive leader. Click here to help elect Duchy Trachtenberg to office! As a former at-large councilmember and a longtime resident of Montgomery County, Duchy understands the needs and priorities of its residents. As a councilmember, she oversaw the creation of the Family Justice Center, which brings coordinated and effective services to domestic violence victims. She passed a landmark civil rights measure extending protection in employment and housing for transgender persons, and worked to protect pay equity for women. Her background in grassroots organizing for women’s equity, mental health concerns and public health issues shows her ability to put people-powered policies first. Going forward, Duchy will fight for public employees’ job security and collective bargaining rights, affordable housing for families, and fully funded youth service programs. 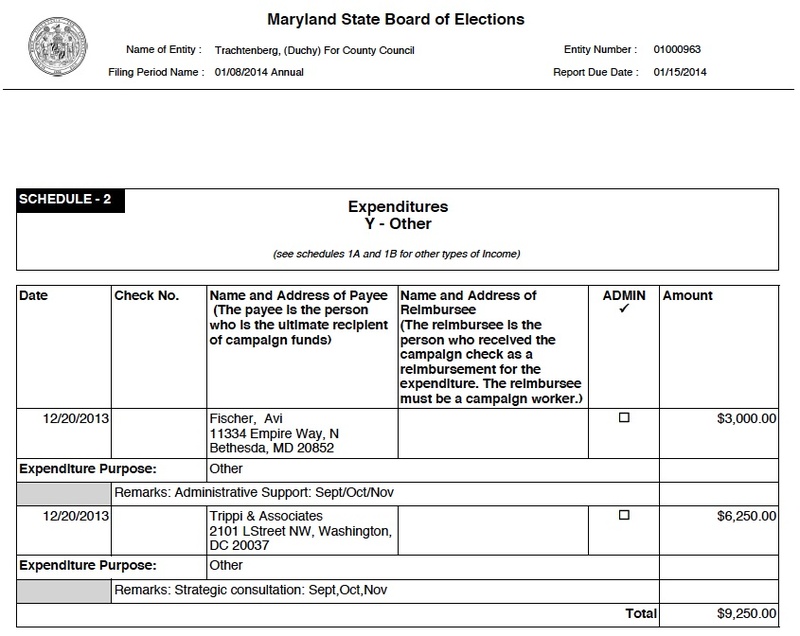 Sign up to help Duchy Trachtenberg ensure that progressive voices are heard in Rockville! When politicians focus on their own political gains and corporate interests, everyone else suffers. Let’s make sure that instead, we have forward-looking, compassionate leadership. Paid for by Democracy for America, http://www.democracyforamerica.com/?t=3&akid=4786.2643726.fr7nXK and not authorized by any candidate. Contributions to Democracy for America are not deductible for federal income tax purposes.